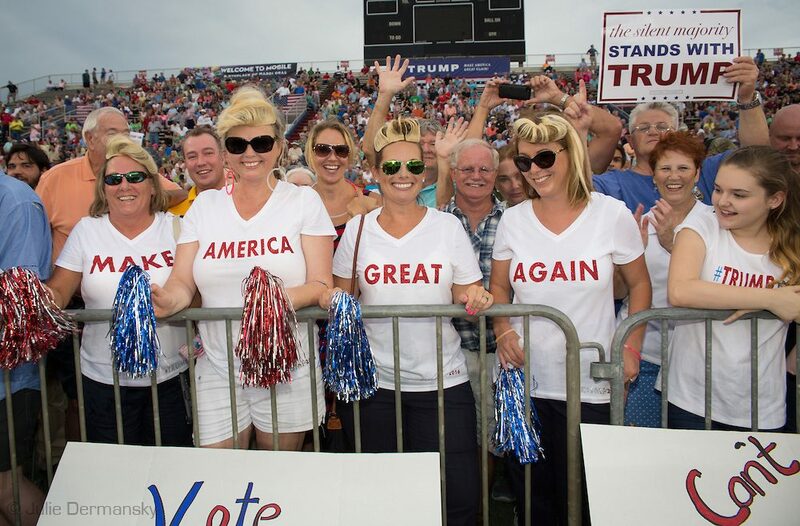 A photograph of Donald Trump supporters wearing "Make America White Again" shirts at a rally is an altered version of a less controversial picture. Photograph shows Donald Trump supporters wearing "Make America White Again" shirts at a rally. The image was a riff on Trump’s much-debated campaign slogan “Make America Great Again,” a phrase that opponents countered by asserting America never “stopped being great.” However, Trump’s words resonated with his base, and the slogan appears on a plethora of shirts, hats, and other Trump campaign items.